Get your eyes below the surface 24/7. Reduce risk and improve vessel efficiency. Using divers is expensive, time consuming and represents significant HSE risks. ROV's have traditionally been very costly and requires extensive training to operate. Learn how you and your crew can utilize the Blueye Pioneer underwater drone to perform frequent checkups on your vessel. In the case of an incident, getting your own eyes below the surface to get a clear picture of the situation, is cruicial before making any decisions. With the Blueye Pioneer underwater drone, you can in only a few minutes access the parts of your vessel located below the surface. In some situations, you may need to document the condition of your ship to a third party like class societies. E.g. DNV GL classed vessels are able to utilize the possibility of remote surveys for some inspections through their Veracity data platform. This means that survey inspections such as an overall examination of hull items, propellers e.g. not requires a DNV GL surveyor to travel to the vessel. 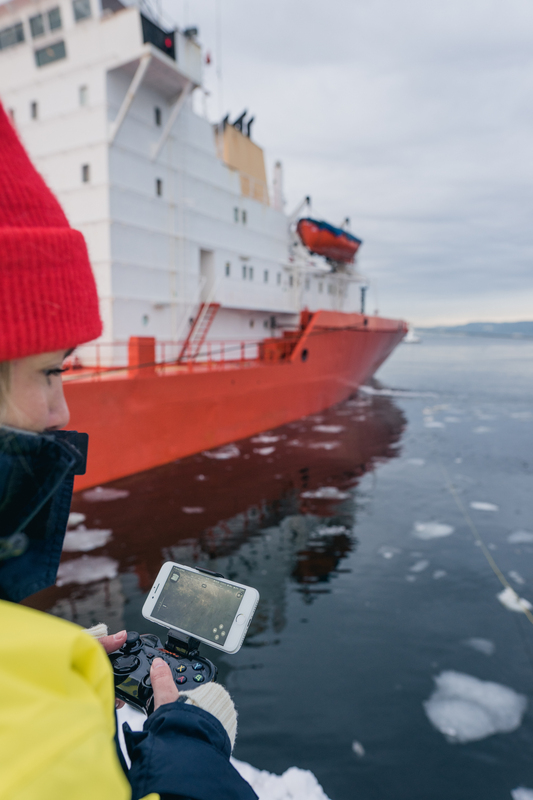 Instead, by using an online connection or video streaming link, a dedicated team of remote surveyors can provide support to vessels anywhere in the world with documentation, images, video, and input provided by the customer and crew. The hull surface condition substantially impacts a ship's energy efficiency. 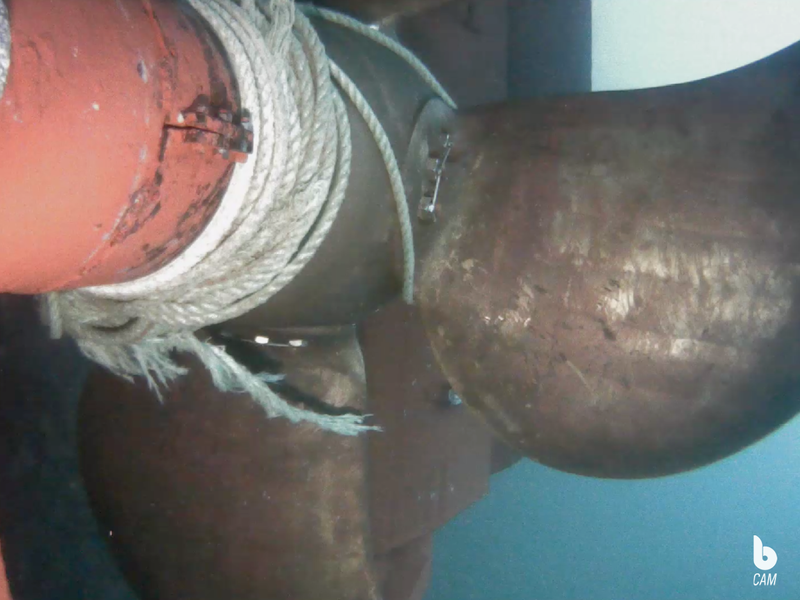 It's the responsibility of the vessel operator to keep the vessel's hull and other underwater parts free from fouling. With your own Blueye Pioneer underwater drone, you can perform your own hull surface inspections and do this more frequently than before. This gives you the opportunity to optimize your cleaning intervals and reduce the cost of underwater inspections, as well as performing anti fouling actions at optimized intervals. In some areas of the world, as well as in some situations, it's impossible to deploy a dive team on short notice. 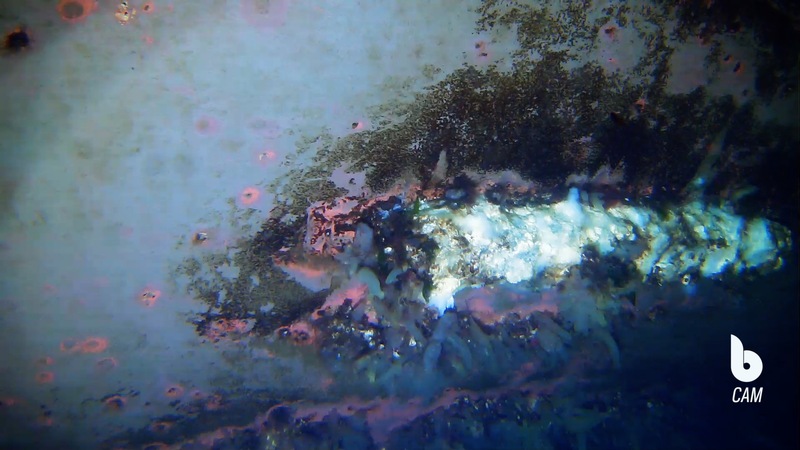 Typically, you'll need to shut down the entire engine or take the vessel out of service before you can do any underwater inspections with divers. With the Blueye Pioneer underwater drone however, there are no health risks involved. The Blueye Pioneer underwater drone has been developed by the Trondheim-based company Blueye Robotics. 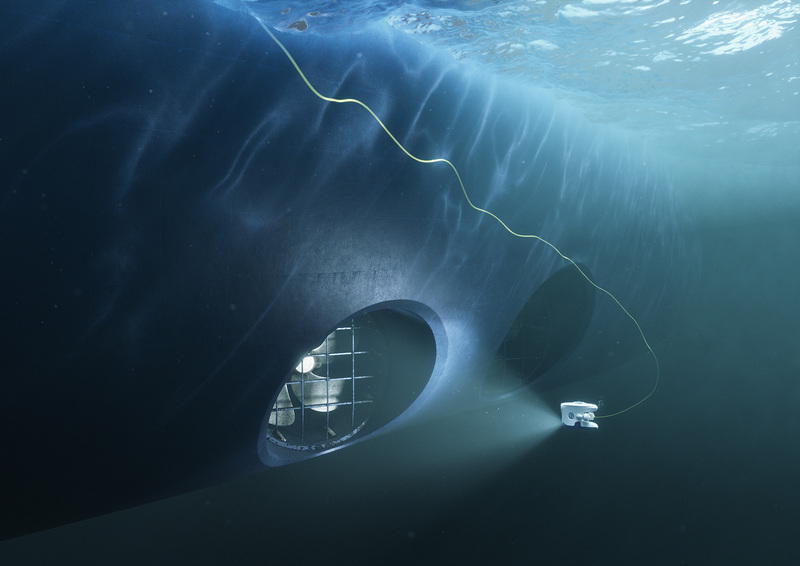 The company has sprung out from the Norwegian University of Science and Technology’s centre for Autonomous Marine Operations and Systems (NTNU AMOS). The Blueye Pioneer underwater drone has been developed by world-leading subsea experts experienced with the harsh Norwegian offshore conditions. It's designed to satisfy industrial performance and reliability demands for underwater operations, and with a user-friendliness you normally would associate with consumer technology products.